although 2019 is an era of aerospace materials and 3D making in shoe design, for fit we still rely on the common shoelace. 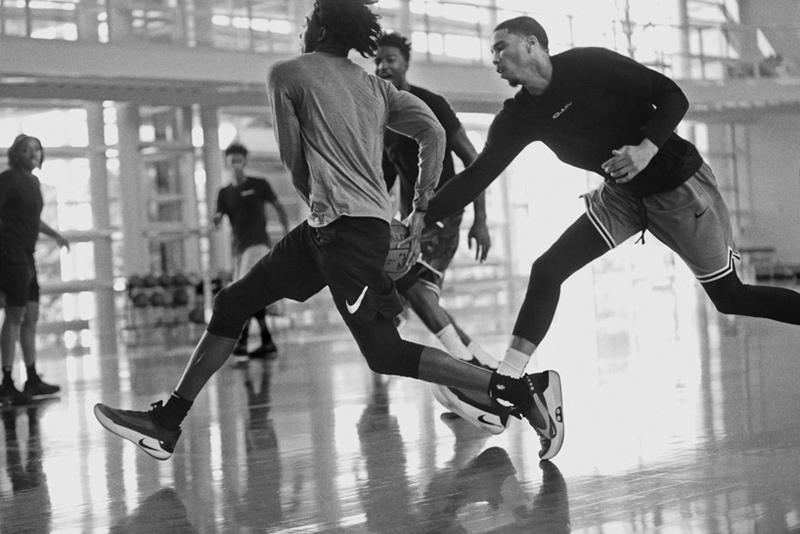 today NIKE departs from the shoelace and launches a laceless smartshoe with the new platform, ‘NIKE adapt.’ beginning with basketball, NIKE adapt will deliver digitally powered adjustable footwear which will continue to expand across both performance and lifestyle categories. through their smartphone, athletes can update the shoe according to personal preferences and changing environments. 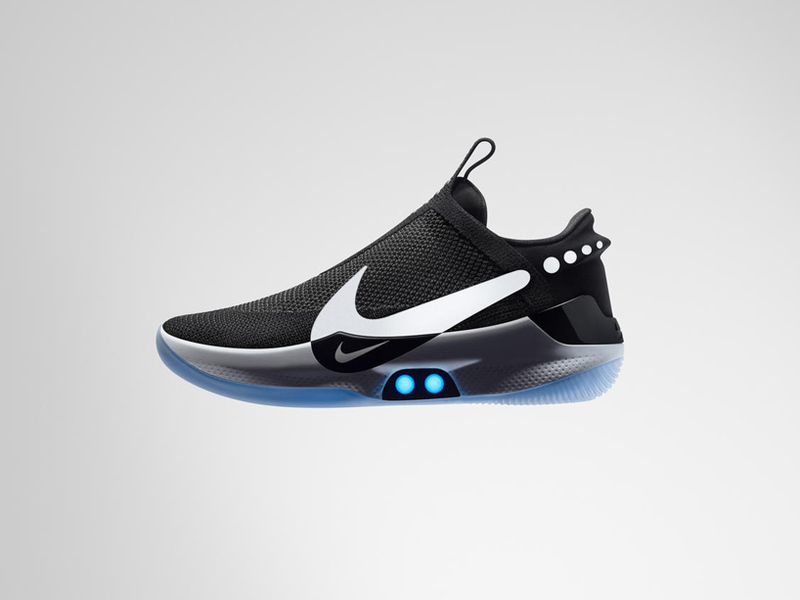 intelligent products move closer to NIKE’s ultimate goal of creating products that adapt at the speed of sport. 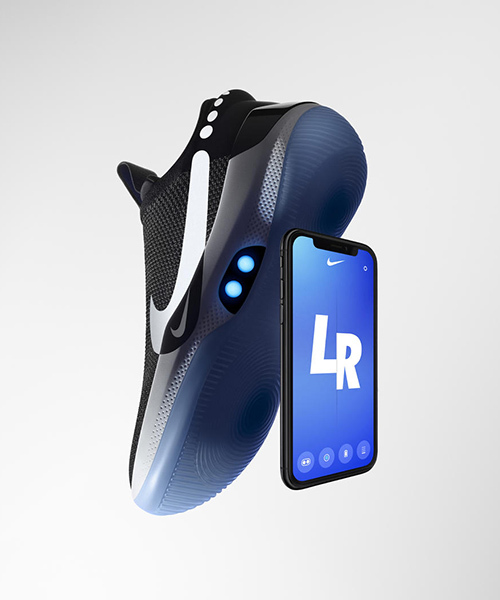 designboom attended the launch of the NIKE adapt BB basketball shoe to check out the future of footwear. 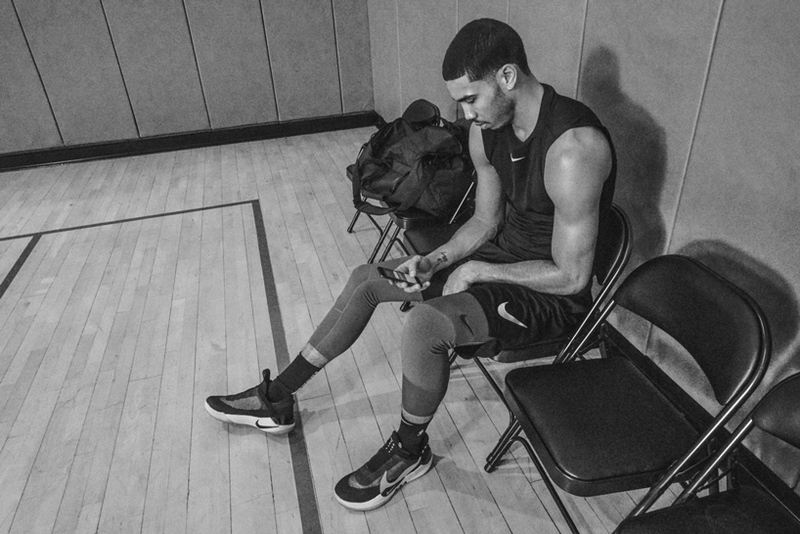 NIKE is just beginning to talk about more than just the product itself. 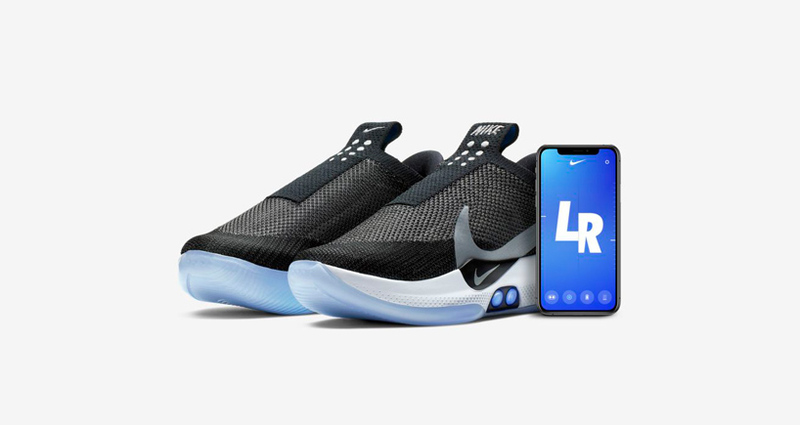 buying the NIKE adapt is just the beginning of a relationship which continues on long after the shoe is purchased. for the first time, athletes will be able to update and evolve their shoes with new features and services both manually and through the ‘FitAdapt’ smartphone-grade technology inside their footwear. because the needs of the foot change at any given time based on the sport, its duration and on specific movements, a level of fit that feels comfortable at one point might feel constrictive minutes later. 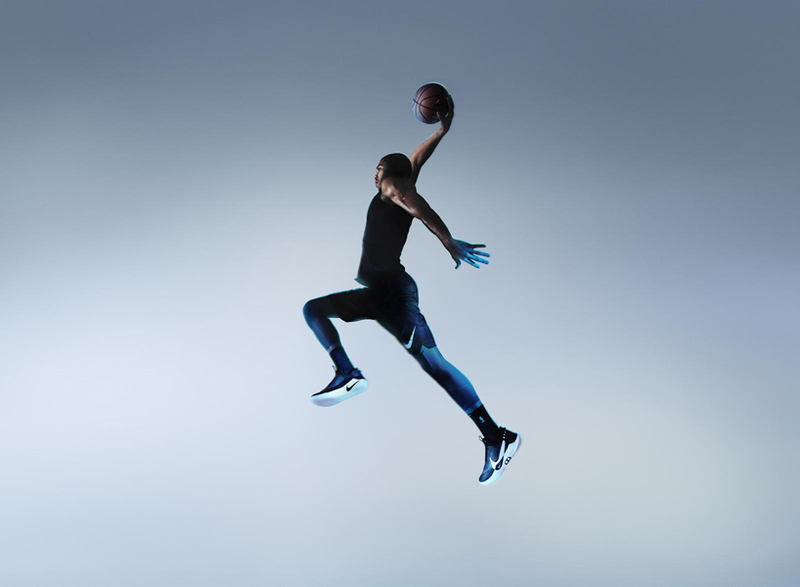 when focusing on fit for this system, the team at NIKE optimized the adaptive quality of the shoe. the refined, power-lace engine FitAdapt works with a cable tightening system routed throughout the shoe. the cable system is designed as a ‘two zone operation’ so that when an athlete interacts with the control center housed within the cushlon foam midsole, they simultaneously control a pair of motors located at both the bottom throat as well as the top collar. this reduces any lag in tightening and the fit is consistent from the top to the bottom. the long-lasting battery is wirelessly charged by resting the shoes on the compact charging pad. 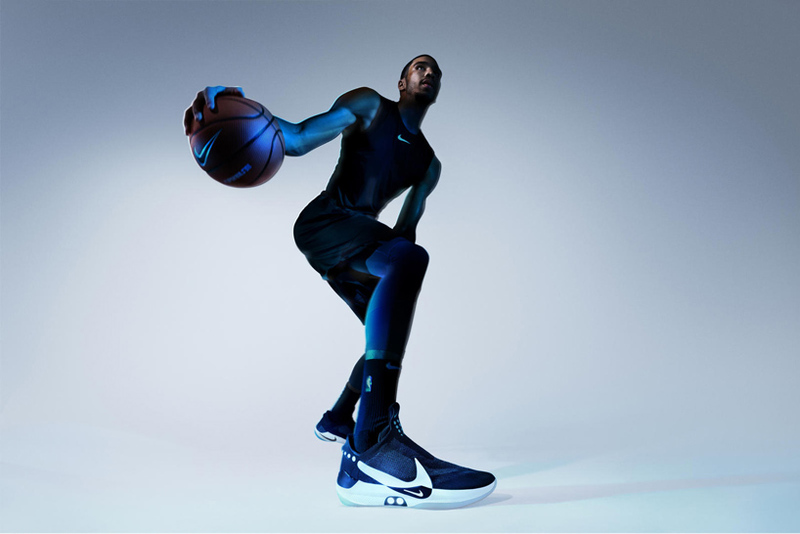 the design team thoroughly studied the motions of the basketball player to optimize the fit of the NIKE adapt basketball shoe. the team concludes that 40% of motions are forward and backward while 20% are lateral. across all these motions, the athlete applies nearly two times their body weight. 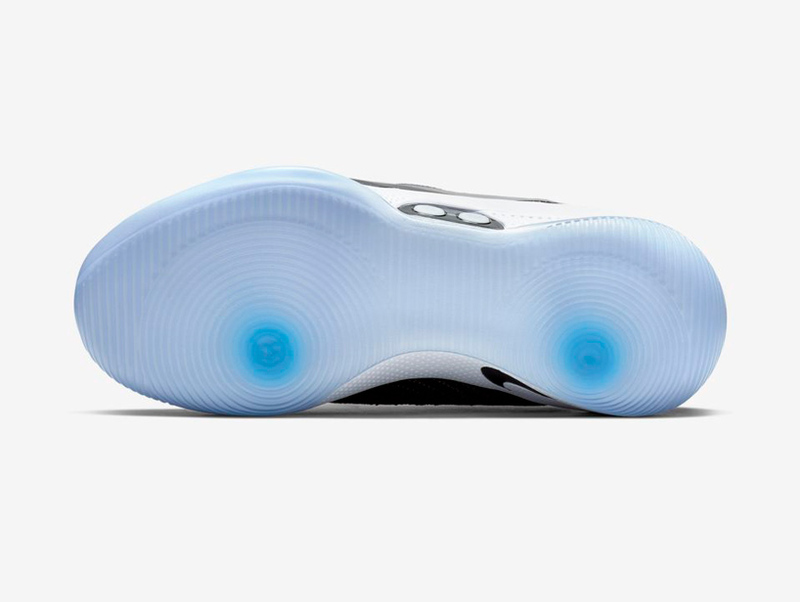 because containing a foot in basketball must work in every axis, the shoe is built with a woven material called ‘quadfit,’ which creates memory in four directions and has never before been used in a basketball shoe. to maximize opportunity for personalization, an adaptive color scheme allows the athlete to customize the shoe with different LED colors. 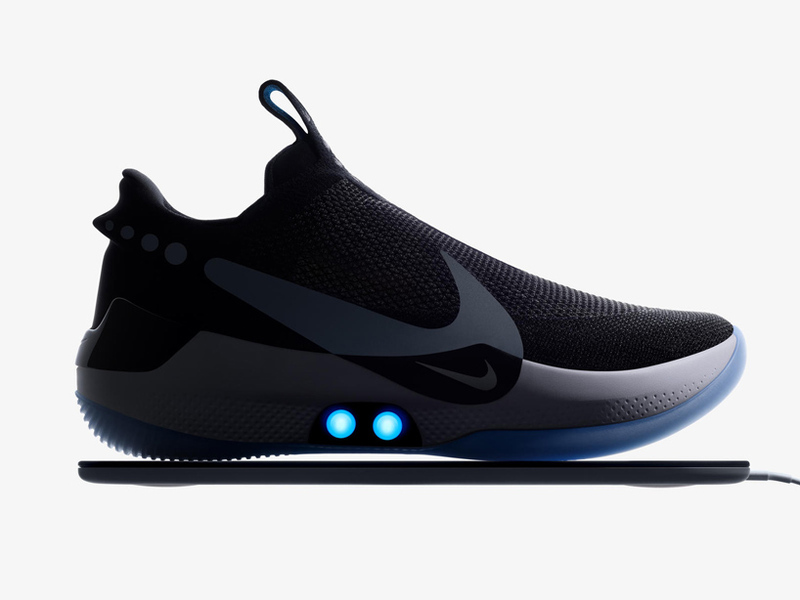 NIKE first launched its self-lacing sneakers – the hyperadapt 1.0 – in 2016. unlike the new and improved model, the original version lacked wireless connectivity. instead, the user laced them manually by pressing a button. 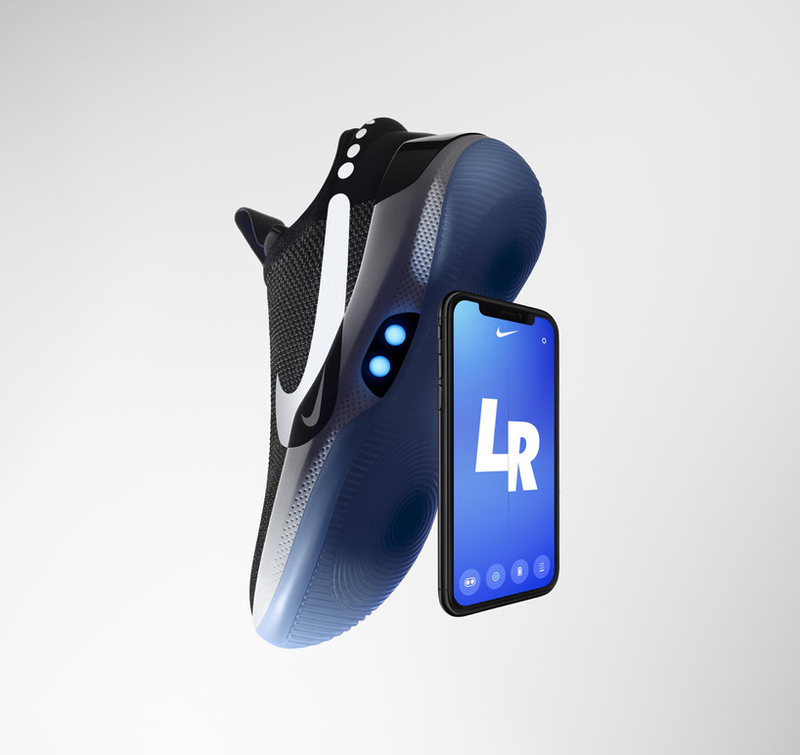 NIKE adapt BB is the first continually updated performance product from NIKE due to the near-symbiotic relationship between the shoe’s digital app and the opt-in firmware updates. 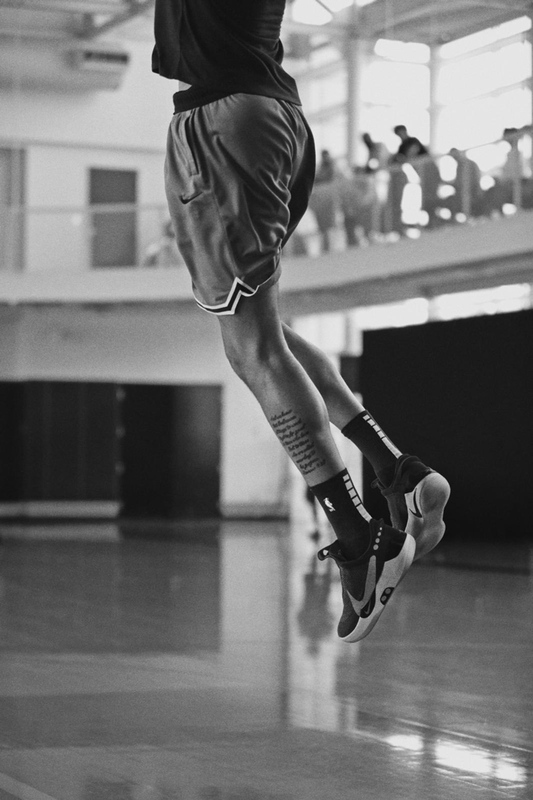 as the FitAdapt system hones the quality of fit in basketball, the next step will be to bring FitAdapt to other sports and lifestyle products, each with unique demands for fit in different environments.